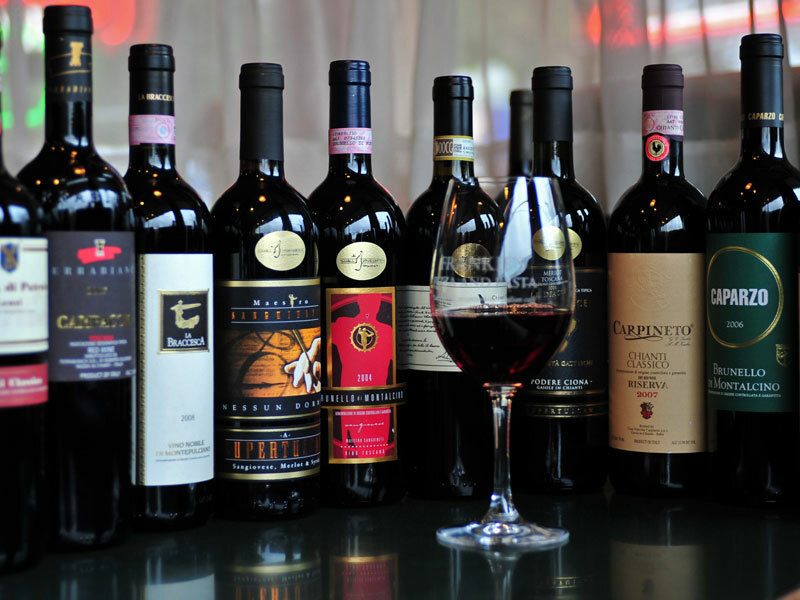 Tuscany is famous for its precious wines, especially for its red wines, well known all over the world. The high quality of this wine is given by the numerous areas of production over the region, supported by the mild and ideal climate for the viticulture. Its hills, with great terraces and valleys, overlook the coast of Liguria Sea and Tyrrhenian Sea and its vineyards expand for thousand of hectares. The whole region boasts diverse production among the IGT wines (Indicazione Geografica Tipica), DOCG (Denominazione di Orginine Controllata e Garantita) and around 30 DOC wines (Denominazione di Origine Controllata). The Tuscan wine sector, each year, confirms its high quality and its world popularity in the Italian and foreign market. Among the most famous wines produced in the provinces of Florence and Siena, there are some red wines really really popular. First of all, the famous Chianti Classico, is a wine easily recognizable for its ruby red colour, tending to dark red and its dry, sapid and soft taste thanks to the ageing, really appreciated with red meats if it is young, whereas if it is aged it is perfect with cheese and game. Chianti is synonym of a prestigious wine, noble, well known all over the world and produced in the heart of Tuscany, among the provinces of Arezzo, Firenze, Pisa, Pistoia, Prato and Siena. Then, worth mentioning is Brunello di Montalcino, pretty dry and tannic, that match perfectly with game and red meats. Other red wines are the famous Vino Nobile di Montepulciano and Tignanello (di Antinori). The area of Livorno and Grosetto is characterized by a mild climate thanks to its closeness to the sea and it is famous for Bolgheri Sassicaia with its dry, full and well-structured taste, together with Montecucco and Ansonica. Instead, the province of Prato is well known for Vin Santo and the small DOCG of Carmignano. Some time ago, the Tuscan white wines were considered products of great value at an international level, because the vineyards where they come from were unfairly considered low quality wines. Today, the situation is changing: among the most famous Tuscan wines we can find the Vernaccia di San Giminiano, produced in a small area of the region among the cities of Siena, Pisa and Firenze. This wine has a dry and harmonious taste with a bitter aftertaste that perfectly matches with seashells and crustaceans. Vernaccia di San Giminiano is considered the first DOCG white wine of the region. Another Tuscan white wine, pretty appreciated, is Vermentino. Tuscan wines are appreciated all over the world: in particular, in the ranking of the best wines, besides the famous Chianti, there are Sassicaia, Tignanello and Ornellaia. 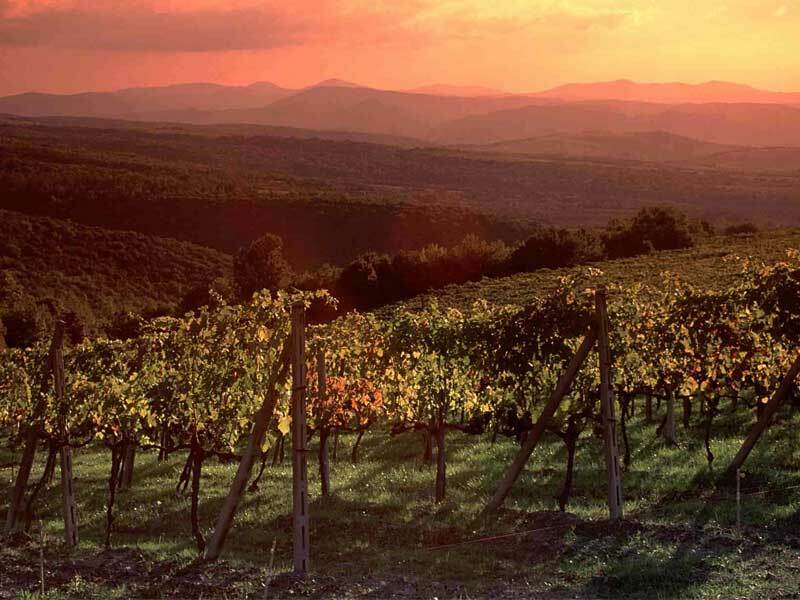 Each year, the export of Tuscan wines abroad reach high levels as a symbol of warranty of quality and prestigious that the region achieved in the wine sector. How to recognize when a wine is good no more?